Wonder what to do with all that pumpkin flesh, after you have carefully hollowed them out for the children (and you!). 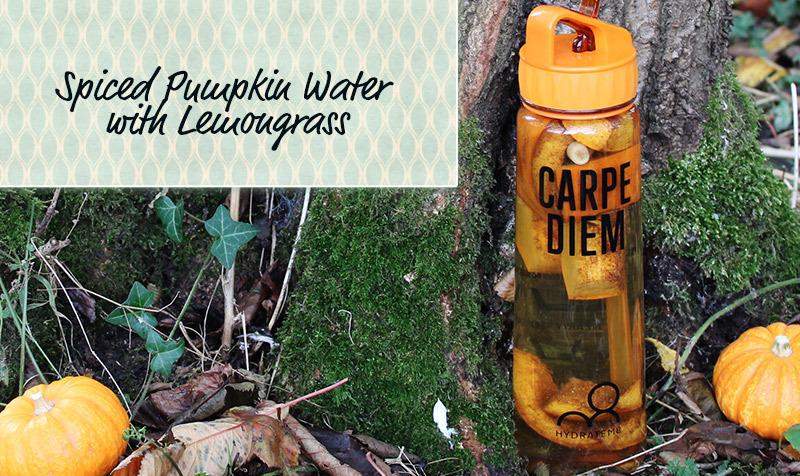 There are delicious drinks to make, but most importantly, as well as water, pumpkin can provide excellent hydration. So stick the candles or night lights into your Jack O’Lanterns, and make up some wonderful hydrating drinks you can use with your Hydrate8M bottle. If you are making roasted vegetables or roasted pumpkin soup (delish! ), keep some back for drinks that will give you maximum hydration and a hint of spice if you follow our recipe. 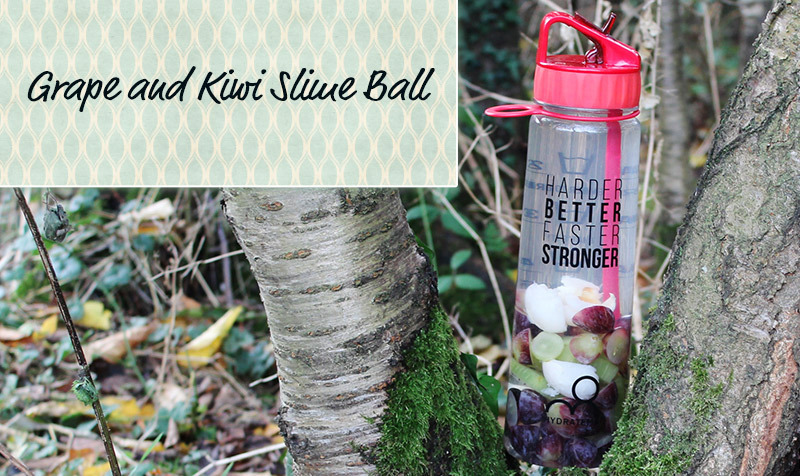 We also have a great recipe for the children – a ‘Slime Ball Infusion’ – they will love it, so read on. 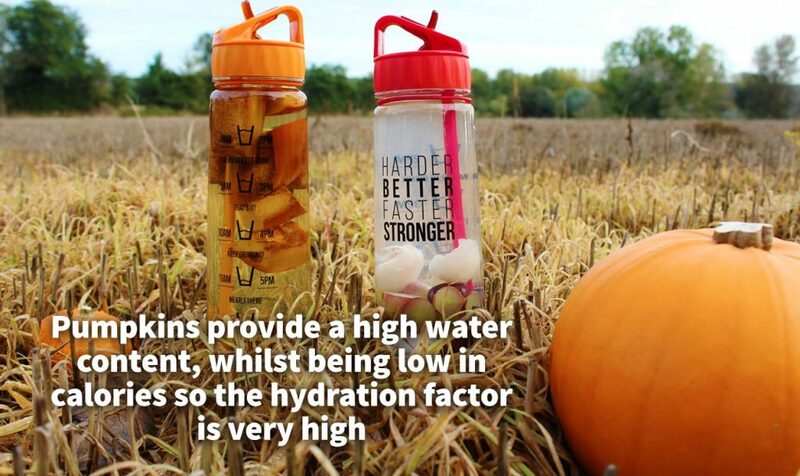 Pumpkins provide a high water content, whilst being very low in calories (40 kcals per 100 grams), so therefore the hydration factor is very high. This hydration is not only useful for your system, but is an excellent source of hydration for the skin – so much so that many companies now include pumpkin in face masques and face cream – bet you didn’t know that! Halloween, or All Hallows night, is a worldwide event, with particular emphasis in the US, UK and Latin America. Influences have spread from the Americas to the UK, mainly in food and celebration, such as parades, costumes and culinary extravaganzas, particularly in London. Many restaurants in the capital serving Mexican food get together for a 2-day celebration, which is one fun-packed enormous party! Coordinated by Thomasina Miers (UK Masterchef winner and owner of the Wahaca restaurant chain), people spill out onto the pavements from restaurants and street food stalls –plenty of bloody fingers and fangs, faces painted as skulls and elaborate costumes. It really is worth a visit, for the food and spooky carnival atmosphere, reminiscent of the scene at the beginning of the James Bond movie, ‘Spectre’. The celebration is not only about Halloween. In Mexico (and now in London), the ‘Day of the Dead’ (Dia de los Muertos) is celebrated from the 31st October through 2nd November. Yes, technically that is three days – but the Mexicans need that time to celebrate all their loved ones who have passed away – or maybe to recover from the hangover after too much tequila! Considering that Mexico is one of the largest pumpkin producers in the world, they should have caught on to pacing themselves! 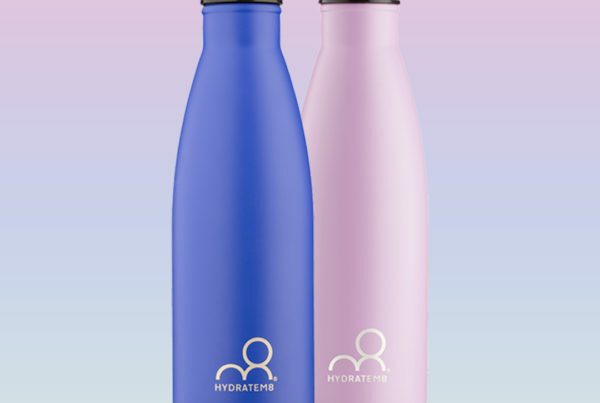 Perhaps Hydrate8M needs to investigate the market – with our constructively marked bottles, they may remember to drink some pumpkin infused water during their celebrations! 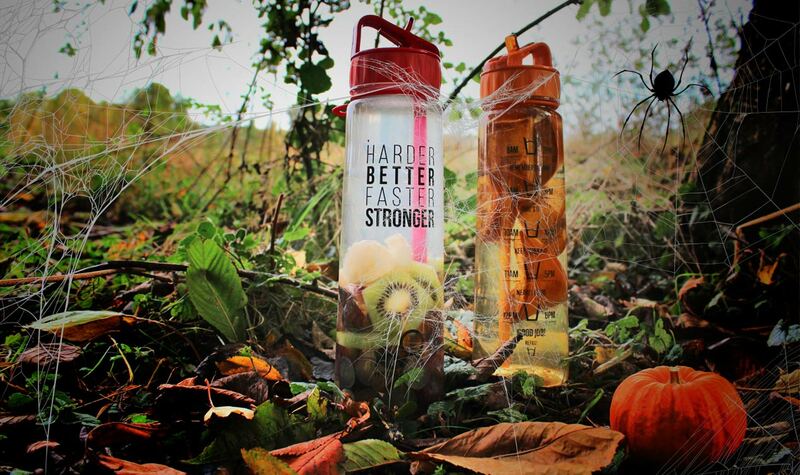 Back to the chase – here are our recipes for you to celebrate Halloween and keep hydrated! Even though you will drink this cold, the spices will give you a real inner glow, as well as being an excellent hydration aid. Roast pumpkin tossed in star anise and a little sesame oil for around 30 minutes at 180°C. Remove from the oven and drain on kitchen paper – set aside until cool. When cool, place in bottle with the crushed lemongrass, honey or agave nectar, cinnamon and water. Shake, then place in the refrigerator for at least one hour. 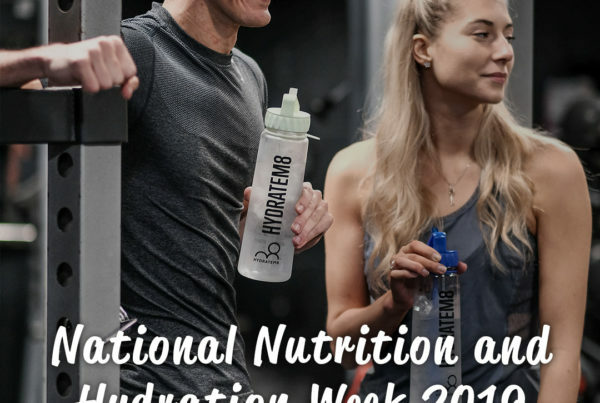 When ready to drink, thoroughly shake the Hydrate8M bottle and drink – enjoy! A great one for the children – the mixed grapes, lychees and kiwi resemble eyes but still provide a healthy and hydrating drink after too many sweets on trick or treat night! 1 cup of mixed grapes –green and purple (or red), cut in half. Prepare fruit as per directions. Place in the bottle with the honey, lime and water. Shake vigorously and place in the refrigerator for one hour minimum. Remove when ready to drink. Next PostTurning to drink could be the key to looking younger!